An account in words, numbers and pictures of the now annual Festive Walk that my good buddy Johnny and I keep as a most welcome Christmas tradition. The rules of the walk. 1. Cake must be consumed on the way round. 2. 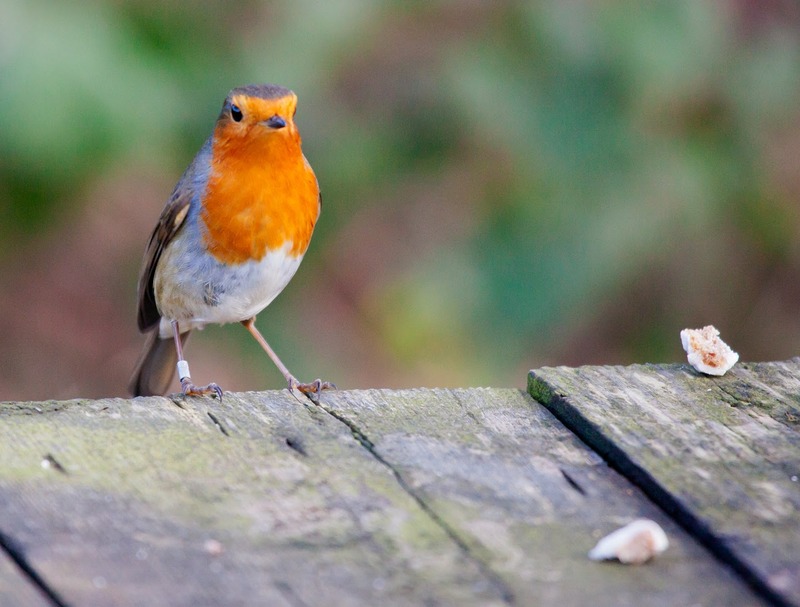 A "festive" Robin must be photographed or the walk cannot end. 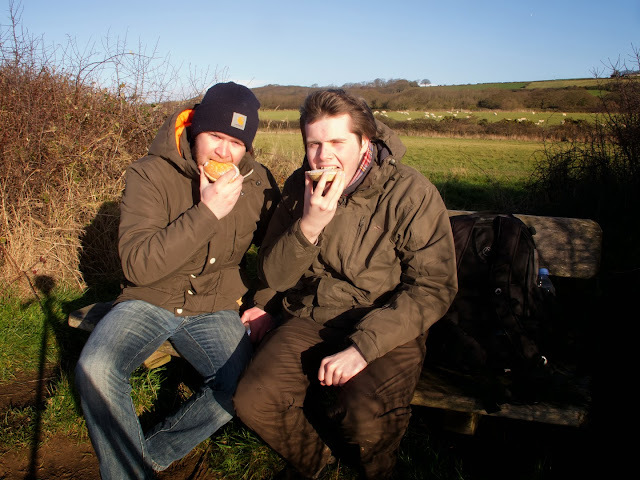 It was a fantastic sunny day and we set out off to the beach with lots of munchies, clear memory cards and high hopes. 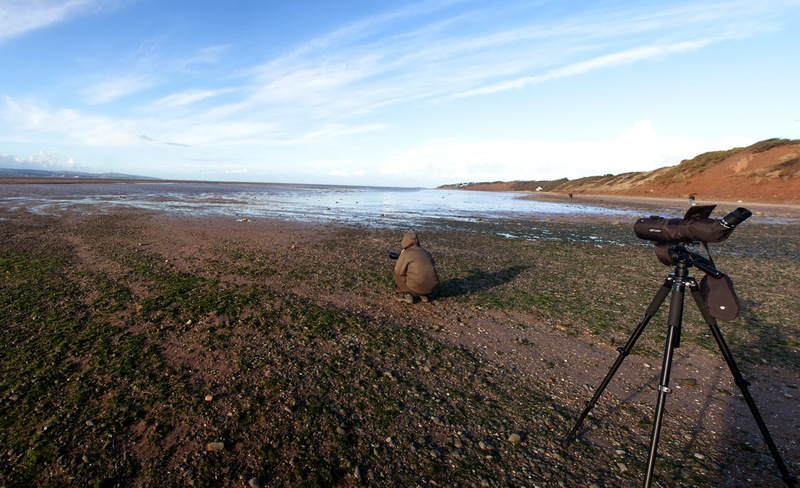 On the shore we wolfed down a couple of bacon butties and watched the holy trinity of Thurstaston Shore (Black-tailed Godwits, Knot & Pintail) being pushed around by the incoming tide. 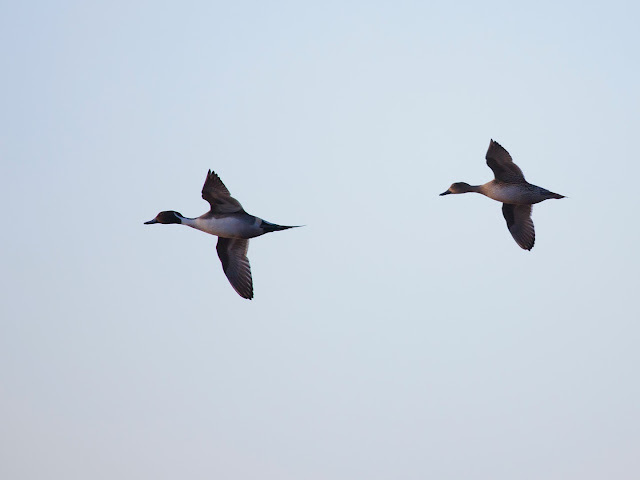 ...before they and the other birds moved up to the marshes off Heswall, a few giving us a great fly past and reminding me why they are my favourite duck. After a couple of hours on the shore we headed inland across Heswall Fields. To describe the pace of our walk as leisurely would have been generous, we were in no rush. We stopped to eat, look for birds, have a bit of flask. At the gate we discussed Johnny's upcoming nuptuals (she's a brave girl), this year's injuries (John is currently office bound so my axe ricochet to shin easily beats his paper cuts) and photography plans for 2014 (you should be hearing a bit about the Mudfalt 3000 in the coming months). 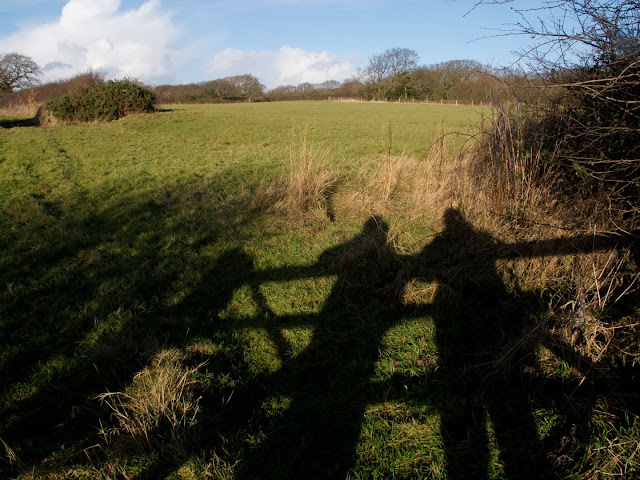 We wandered along the Wirral Way looking for winter Thrushes and after a brief search we found some. 4 Fieldfares in a Hawthorn. We are nearly back to the start and we have not managed a picture of a Robin. This is not good because as you will know from the top of this post, we cannot finish the walk until we have recorded a "festive" Robin. This is more of an issue for Johnny than me. He has a fiance to pick up and Christmas shopping to finish! We stop to finish the munchies. Some stollen is washed down with the last of the flask. 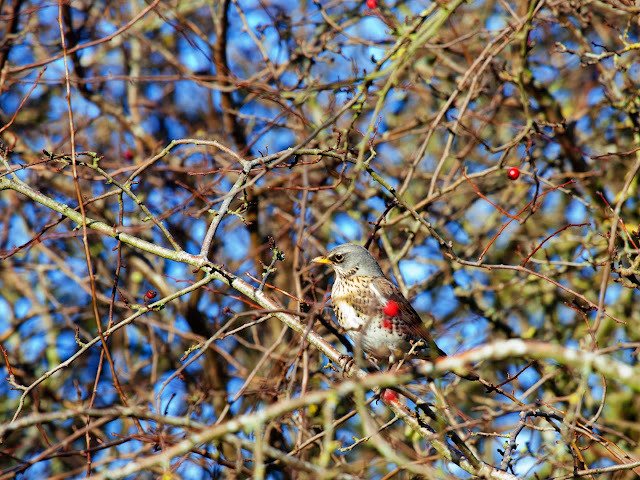 As we chew our final sweet treat a very festive Robin appears in the willow next to the bench. We crumble some of the final piece of stollen on the end of our bench and hope the Robin comes down to the bait. Soom enough it plucks up the courage and joins us on the bench to share in some festive cheer and confectionary. Magic. So I start Christmas sharing stollen with Johnny and a Robin. Brilliant We can finish our walk and begin the Yuletide festivities.